After grinding higher for the entire month on November, sellers are starting to show some teeth. ... and you can profit from it. 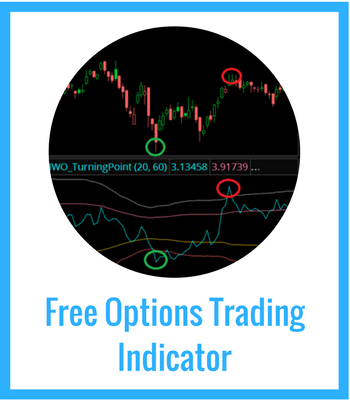 In this post I'll lay out the "sweet spot" conditions I look for in a specific trade, and an idea you can look at and make your own. The holiday trading season tends to be a little dull for the markets. Dull markets are fine, but they spell disaster for financial media, where they pull their lifeforce from clicks or views or retweets. That means if we get any sort of downside action, they immediately slap on an explanation. Sometimes, many times, these narratives don't really fit within the price action of the market. Let's take a look at a fancy-pants chart to see how much of this is "abnormal." This is a chart of the S&P 500 with a graph underneath that compares the day's volatility to the volatility over the past 20 days. Essentially, anything between +1 and -1 is considered "normal," and anything beyond that shows us that buyers or sellers really came out in force that day. That the past few days haven't been that bad. Probably just normal profit taking. Can it get worse? Sure. Can we reverse hard and rip to new highs? That's possible too. 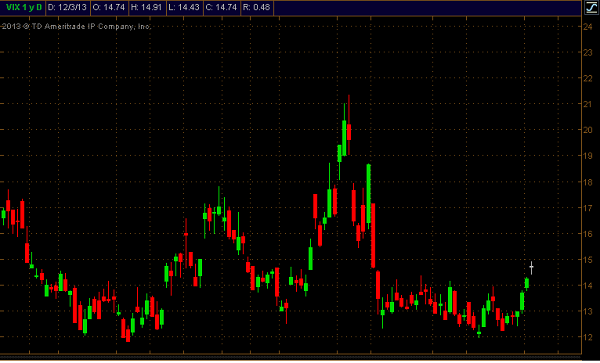 But here's where it gets intersting-- let's pull up a chart of the VIX. So on this "massive" 1% pullback from all time highs, the options market is getting scared and the VIX broke to 2 month highs. This (most likely) is an overreaction, as investors will take any excuse they can get to load up on insurance against downside action. And that's where our trade idea can come in. With those three things, we can construct a trade that makes money if the VIX falls and if the SPX doesn't have a big trend in either direction. An iron condor is simply a combination of a bull put spread and a bear call spread. 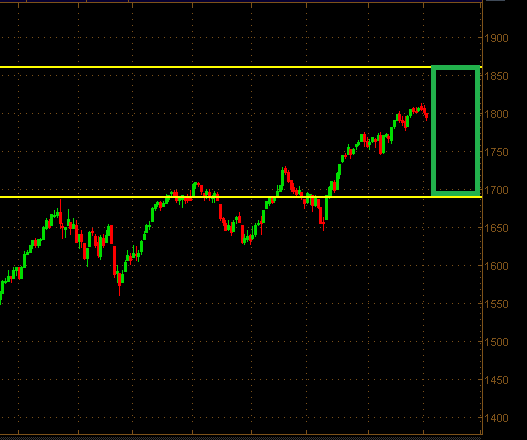 This is a limited risk, limited reward trade that makes money if SPX hangs out in a range for 2 months. Your max risk is 490, and your max reward is 110. We exchange higher risk because we have higher odds of success. Simple. If everything goes swimmingly, you make about 22% return on your risk. So for this to get in trouble, the SPX has to rally an additional 4% into January. Or sell off 100 handles. Possible? Yeah. Probable? Nope. The odds are on our side with this one. 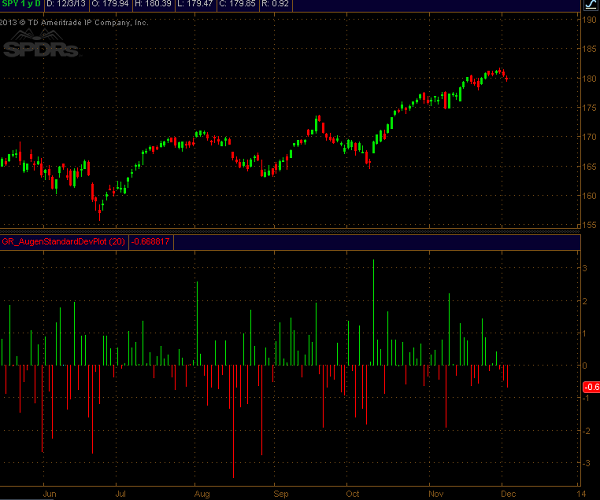 The SPX actual vol is around 9. On average (past 40 years), December sees a 1.6% return. We've got the holiday trading season coming up with no real macro news until February (debt ceiling). So this isn't a "layup" trade by any means, but it should be fairly manageable here going forward. Now I'm not a believer that iron condors are a "set and forget" kind of trade. I know this because I've been burned from that in the past. 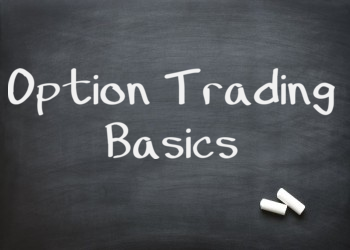 You need active risk management, an understanding of the greeks, and an adjustment plan before you even get into the trade. It can seem overwhelming... which is why I put together my "Iron Condor Intensive." You can learn all about iron condors, how to trade them, how to manage them, and how to profit. 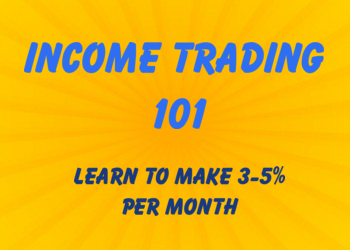 If you think iron condors match up with your trading style but want to gain mastery before you start trading them, this is the course for you.